10 days 21 hours 38 min 49 sec remaining in the April competition. Even the greatest American senators of the 19th need a rest. 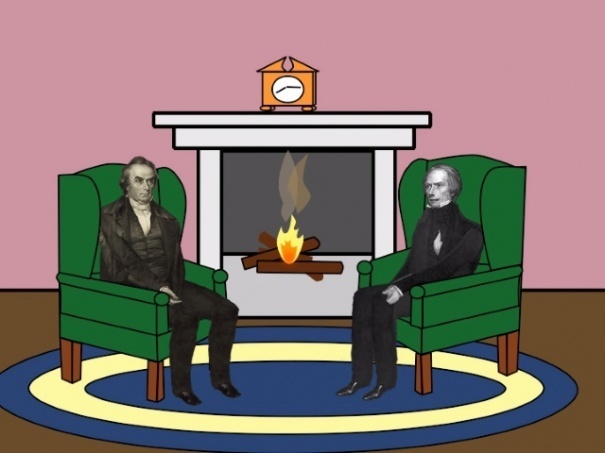 Daniel Webster and Henry Clay are relaxing at home when the ringing of the doorbell shatters the stillness of the night. Who is the mysterious visitor and what new adventure is about to begin? And what does this all have to do with Halloween? Watch and see! This shared file was entered into the 'Halloween' competition and came second! "On a Glorious Sojourn with Webster and Clay" has been downloaded by 30 users since it was shared.